The Xth arrondissement is very dynamic. It has always been a popular neighborhood and although it tends inevitably to "bobo-iser", it keeps a strong identity of melting pot. As we wander, we discover different Paris at every corner, and that's what we like very much. # 1. 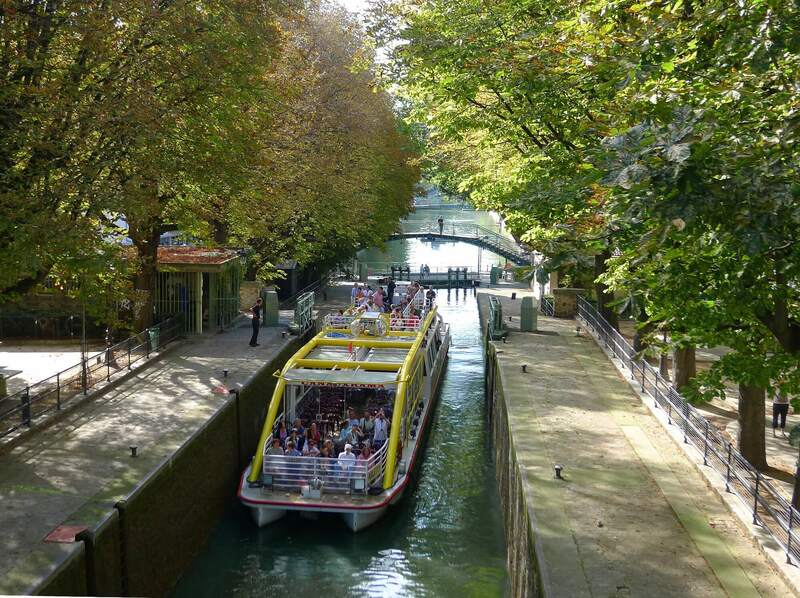 The Canal Saint Martin is without a doubt the charm of the 10th. They come to drink glasses on the water's edge, have a picnic, or just to get away from the whirlwind of the city. When the temperatures go down, we go to one of the many owl bars along the canal. # 2. The many cool bars of the 10th are also one of its strong points. With its central location, it is easy to find one of the best addresses of the district. Some are enthusiasts of Chez Prune, Point Ephémère, Chez Jeannette or the Ghost, but new spots open all the time to make us discover new horizons. # 3. Gastronomy is ubiquitous. One can feast on all kitchens and the new generation of chefs invests heavily in the 10th arrondissement. 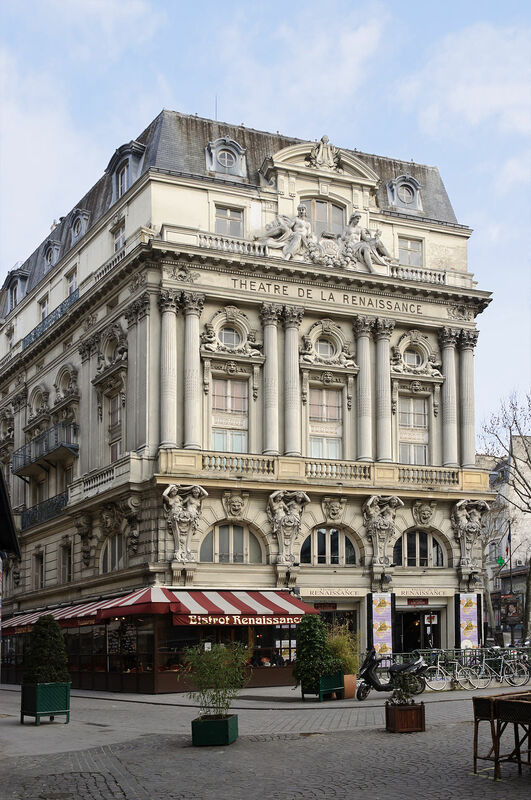 At the beginning of the year, the restaurant Les Arlots was much talked about for example. The 52 and the Richet also highlights the quality of the products. If one no longer presents the mythical Hôtel du Nord, La Fidélité, our Indian darling Chez Marcel or the Grand Amour, "bobos" canteens also grow to satisfy the many dynamic young people who work in the borough. So, for the lunch break, we go to Huabu, Nanashi or even Holybelly! # 4. We travel! In no time, we can go around the world. We can make real African tresses at Château d'Eau, eat the best Indian dishes in the North, taste kebabs of madness in Strasbourg Saint Denis ... We dive into all cultures. # 5. Culture justly is not put aside. There are many theaters. The shows make the difference between one man show, humor, classical theater ... So you can go to the Théâtre du Gymnase, the Palais des Glaces, the Splendid, or the Jamel Comedy Club among others ... For all tastes, Said. # 6. Want to do an activity that changes? The Manoir de Paris is the most famous haunted house in Paris. It proposes about fifteen routes to discover legends and to be scared ... If Halloween is particularly suitable for immersing in this universe, it is possible to make a tour all the year! # 7. 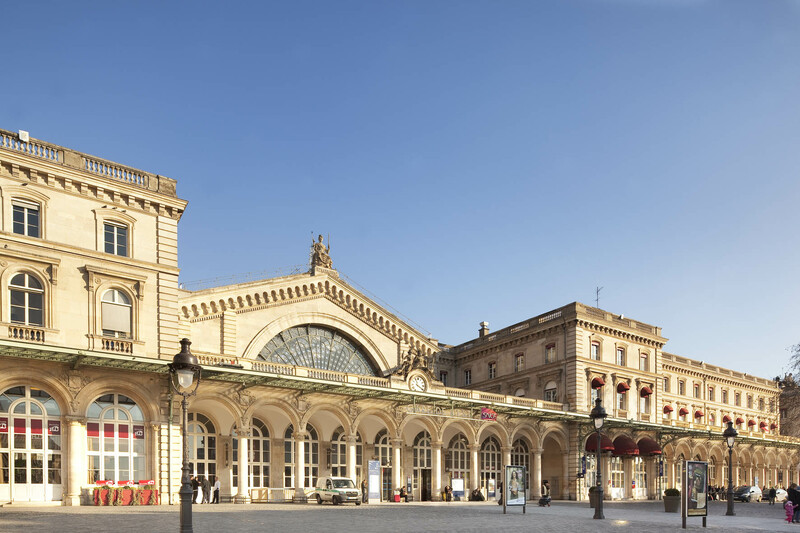 Want to go on holiday, with its two big stations, Gare du Nord and Gare de l'Est, you can go on weekends in Amsterdam, Germany and even join Lille in one hour. Perfect for small improvised getaways. # 8. The 10th arrondissement is becoming the paradise of vegans. More and more vegetarian, vegan, or even gluten-free addresses are opening to meet customer demand. Ethics is on the rise and it is in this borough that everyone can go to (finally) to return to good restaurants according to their choice. # 9. There are nuggets to discover. 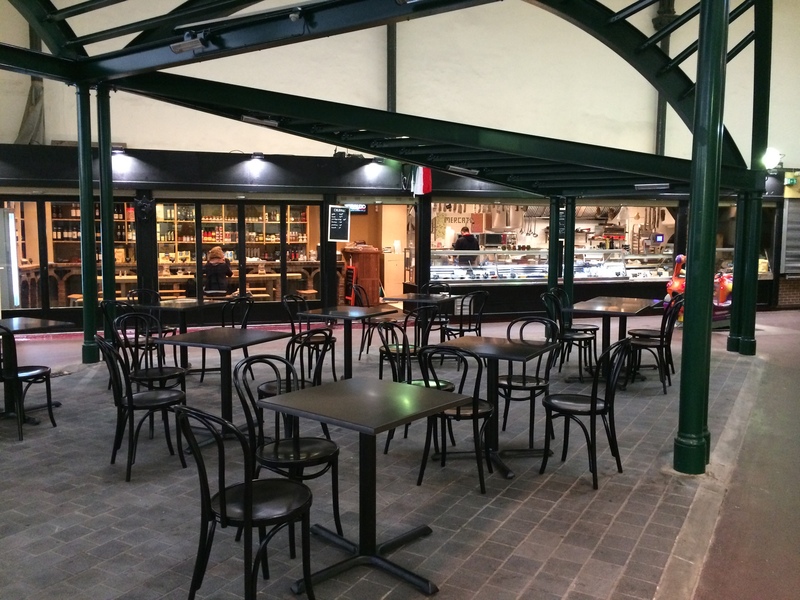 The Saint Quentin market is the largest covered market in Paris. There are fresh fruits and vegetables as well as caterer corners that highlight a certain know-how and a certain quality. If one walks in the beginning of the street of the Castle of Water, to the 39 precisely, one can admire the narrowest house of Paris. With its 1m10 of width, this small curiosity catches the eye. Finally, for the fans of the history of Paris, the Xe has very beautiful passages covered like the Passage Brady or the Passage of the Prado. # 10. Here you can meet Yann Barthès on the street! # 1. The Red Children's Market. 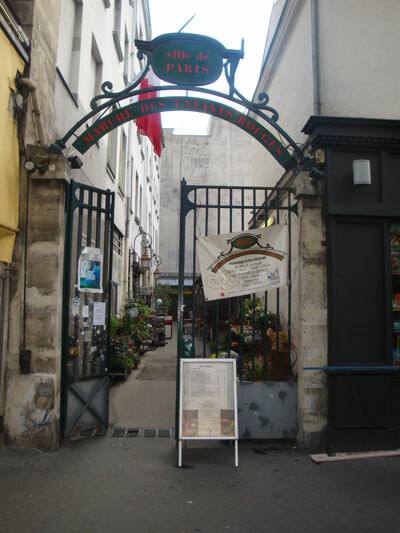 The Red Children's Market is the oldest covered market in Paris (1628). Full of charm, it has been listed as historical monuments. There are fruits and vegetables, normal for a market, but especially small stands where it is good to nibble. We especially like the Moroccan caterer or the Japanese corner. But, the real attraction is the stand of Alain Miam Miam. His hot sandwiches are to die for. There is often a queue to taste, but we always go back. Perhaps the best sandwiches in Paris! # 2. The pretty clothes shops. The Marais extends in the 3rd and 4th centuries. We know all the luxury shops in this area, but the high marsh is full of thrift stores or designer shops to fall. We go to Leon & Harper who won all our votes. # 3.Many pop-up blinds. With its central position, the area is ideal for hosting event shops. Our next stop? The fleeting shop Monoprix x Sarah Lavoine this weekend. # 4. The Tile of the Temple was renovated recently and today it hosts many events. It is not uncommon for parades to take place during Fashion Week. There are also vintage salons, braderies and soon, the first International Urban Art Fair, the Urban Art Fair. # 5. The neighborhood is nice and lively. It brings together families as well as artists or dynamic young people. There is a real melting pot. And if the presence of tourists in certain busy corners can disturb, it is necessary to know that all the alleys are calmer and very pretty. # 6. One finds everything! There are grocery stores, decoration shops, hardware stores, shoemakers. The small shops are varied and there is rarely need to cross all Paris to find its happiness. # 7. The third arrondissement is rich in art galleries. 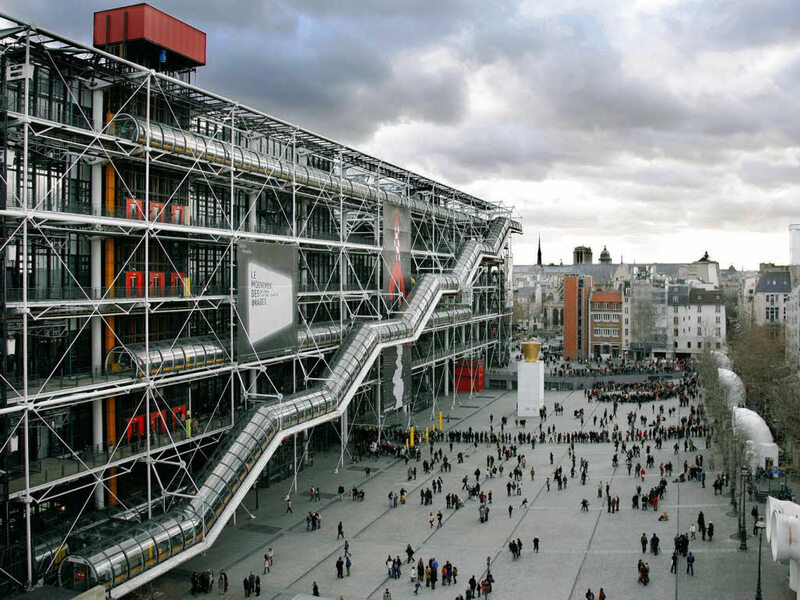 Its proximity with the Pompidou center made it a perfect place for amateurs. # 8.The borough has a beautiful heritage of museums. 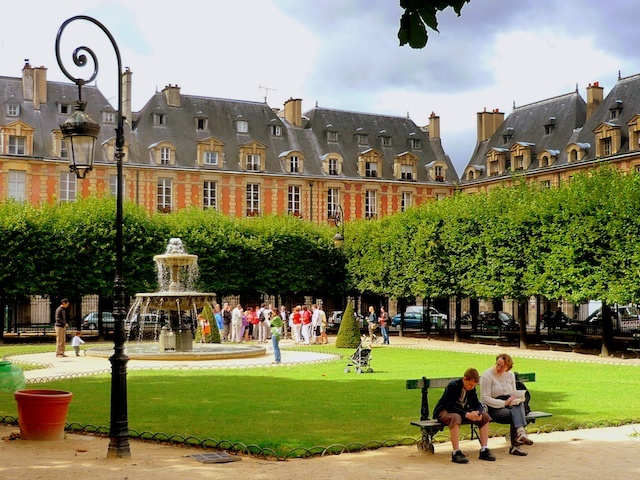 The afficionados will find their happiness in the Picasso Museum, the Museum of Arts and Crafts, the Museum Carnavalet or the National Archives Museum. # 10. Thank you is the concept store not to be missed. There are furniture, gardening tools, designer clothes, accessories ... It's nice to wander there, even if you do not necessarily have the means to indulge yourself. You can also enjoy it for lunch. We taste some very nice plates of salad or charcuterie. A delight !